Human Resources staff have a difficult job. They help keep their organizations running smoothly by ensuring, to the greatest degree possible, that the employer is in compliance with workplace related laws as well as addressing employee personnel issues. As we all know, it’s not an easy task. And the rise of data analytics and continuing regulatory changes affecting the workplace make the job even more challenging. Most of all, HR is focused on people. Employees are the critical resource driving a company to success. If the people aren’t succeeding, it won’t be long before the company starts to fail. The list of people-related activities addressed by HR staff is long: recruiting, hiring and onboarding, transfers, terminations, payroll administration, benefits administration, and other related personnel issues. However, the job is now being stretched beyond those core capabilities because each one of those activities has a data-related component that needs to be addressed. HR has to log data on employee information, payroll changes, time and attendance, leave of absence and benefits administration activities into a variety of new data platforms to provide their organizations with analytical capabilities to better understand their workforces and track their activities. This data has become crucial to HR managing compliance with a host of regulatory issues facing the workplace, one of the more complex being compliance with the Affordable Care Act (ACA ). To manage these regulatory requirements, HR has to make sure effective internal controls, processes and policies are in place. Often, HR staff have to become experts in multiple areas to keep pace with the way technology is changing the HR function at light speed, as well as these constant regulatory changes. And while technology can help make our jobs easier, in many ways the increasing complexity of the workplace as demanded by technological and regulatory changes creates new challenges. Chief among those challenges is maintaining data quality of employee records. We know that with the ACA , a failure to ensure strong data quality can lead to IRS penalties, some in the millions of dollars. We have worked with clients that have their HR departments managing employee data across multiple platforms. Data for benefits administration, time and attendance, leave of absence and payroll are often stored in separate locations rather than centrally managed. In some cases, different individuals are responsible for maintaining, updating, and organizing the data in these different areas. As a result, there can be large gaps in time from when changes communicated about a particular employee were made to each of the appropriate data sets. One situation we had to address for a client was an issue in tracking employee leave of absence. For example, employees had up to six months of paid maternity leave available to them. The time off could be spread out rather than taken all at once. Health coverage was extended for a portion of that time. When the time expired, COBRA was offered. Tracking this detailed information and letting all the appropriate parties know took too much time for HR staff to accomplish. As a result, odd limbo periods of unidentified coverage surfaced in different data sets; sometimes employees would not be listed as having had coverage or they were double covered, which also cost the organization money. This also caused problems in benefits administration. The client found that coverage period dates populated in the system were not accurate. The data platform would then inaccurately indicate the coverage period. Manually plotting the coverage periods was time consuming, inefficient, and prone to human error. All this exposed the client to significant IRS penalties for not complying with the ACA because the data used for filing information was seriously flawed. This becomes an even greater concern for organizations relying on software solutions with no data quality check provided by those software vendors. The ACA’s Employer Mandate requires Applicable Large Employers (ALEs), organizations with 50 or more full-time employees and full-time equivalent employees, to offer Minimum Essential Coverage (MEC) to at least 95% of their full-time workforce (and their dependents) whereby such coverage meets Minimum Value (MV) and is affordable for the employee or be subject to IRS 4980H penalties. For many reasons, the first impulse is usually to make do with the HR staff already in place. That will not do much to lift the weight of the ACA and its impact on other important HR responsibilities. Hiring someone to become an expert is attractive, but the recruitment will take time and money. Finding someone with the expertise to walk into that new job can be challenging, and often that person commands a higher level of compensation. When faced with those choices, working with outside consultants may be the best and most cost-effective solution. If you decided to go this route, make sure that your consultant is specialized in both ACA compliance and data quality management. This is important. Many ACA compliance vendors offer a software solution that has HR staff input data into a software program that generates an ACA information filing to be submitted to the IRS. Often, that filing is not checked by the vendor to ensure the quality of the data being used. 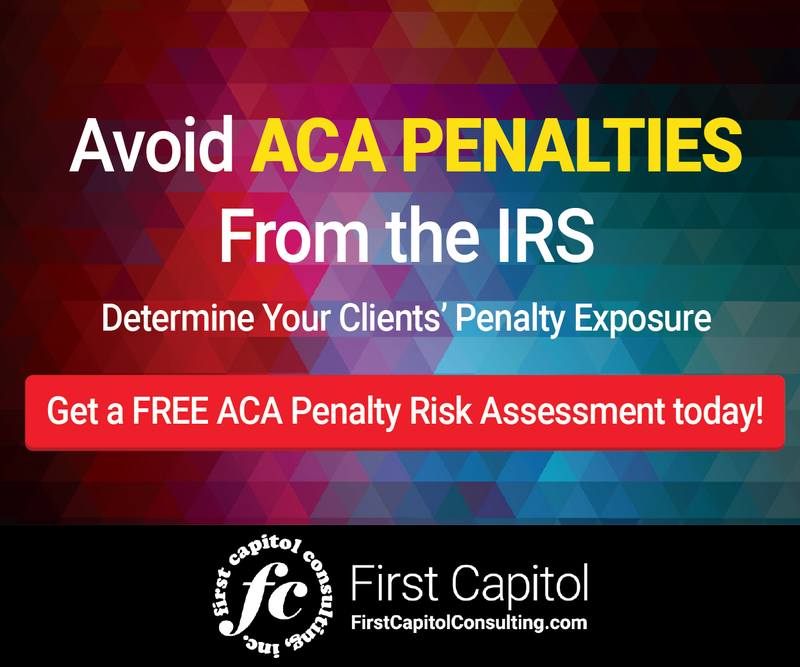 A significant number of IRS penalty assessments for ACA non-compliance have been caused by faulty data being submitted to the IRS through software solutions that did not monitor the quality of the data being used for the IRS filing. You want a vendor that can provide both ACA compliance and data quality monitoring to provide your organization piece of mind knowing that the data is being gathered, consolidated and validated in such way that your organization can be confident that it is complying with the ACA and will not face unexpected penalties from the IRS. Complying with the ACA is a full-time job and should be treated that way. 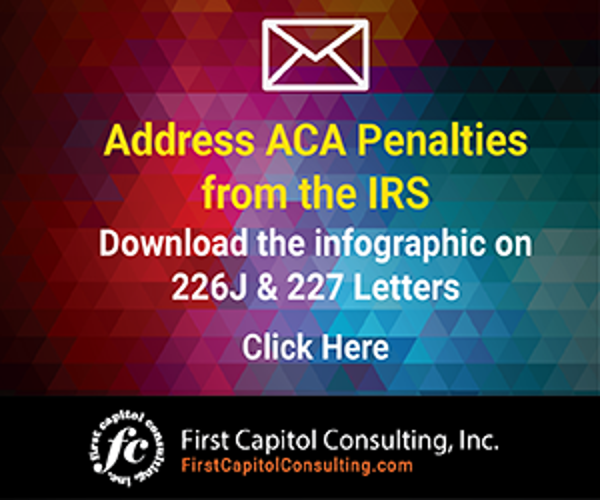 Passing the responsibility onto an already stretched HR staff is a recipe for your organization to receive a Letter 226J penalty notice from the IRS. Leaving the compliance and data aspect of HR to an outside consultant can result in making the ACA compliance process more efficient, responsive and effective. It can save organizations time and money. Having an expert that can handle data quality management and ACA compliance issues will create a seamless, trustworthy workflow that will not impact other important HR responsibilities. It provides HR and your organization with the confidence that it has a compliance framework for the ACA that is robust, tracked, monitored, and constantly optimized. Best of all, it allows HR professionals more room to focus on their obligations including what they do best, addressing important issues for their employees. ACA compliance is a full-time job that can take HR resources away from their core focus on employees.